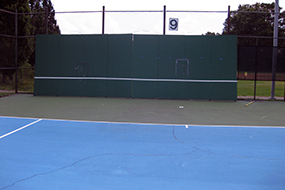 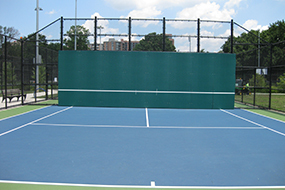 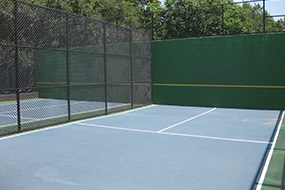 All Tennis Courts and Practice Walls are lit and can be used at night. 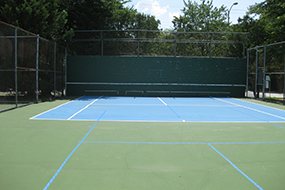 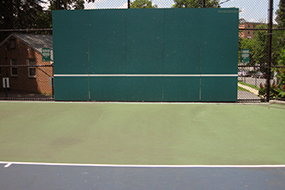 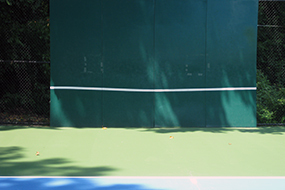 The following practice walls/courts are available for rent: Bluemont Court #9, Lyon Village Park #2 and Marcey Road Park #1. 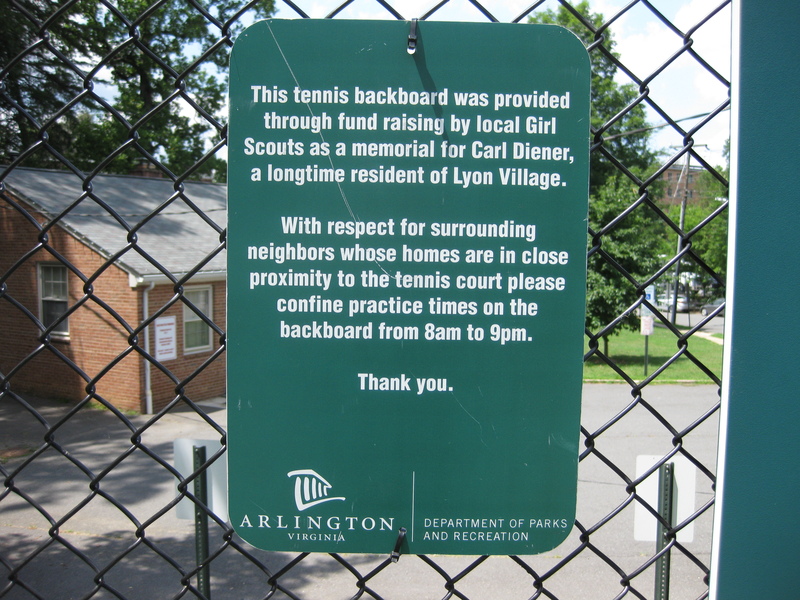 Dedication signage asks that play only occurs between 8 a.m. – 9 p.m.